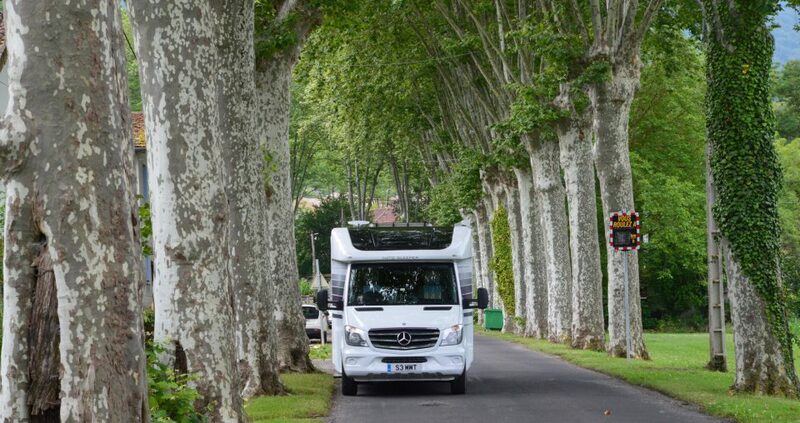 The Volkswagen Group continued its dominance of The Caravan Club’s prestigious Towcar of the Year competition by lifting the trophy for a seventh consecutive year. The competition’s 39 entries were split into six price classes and two weight categories, ranging from the Dacia Logan MCVLauréatedCi at just £12,114 to the all-singing, all-dancing Land Rover Discovery HSE Luxury 3.0 SDV6 at a shade over £60,000. The diverse entry list included small 4x4s, saloons, estates, hatchbacks, SUVs, large off-roaders and an electric/petrol hybrid. Each towcar endured the same gruelling series of trials – not only being judged on its towing performance over a testing circuit at the Millbook Proving Ground in Bedfordshire, but also for its ‘caravanability’ – ie how much typical holiday gear and caravan paraphernalia it could accommodate, how easily it could be hooked up to a caravan and the quality of towing information contained in its handbook. Value for money (initial purchase price and running costs) was also added to the marking equation. Seven driving judges put the cars through their paces and evaluated each one’s dynamic abilities and ergonomic qualities. Tests included a mid-range 30-60mph acceleration assessment, high-speed towing appraisal, reversing, emergency braking, ride and handling evaluations as well as hill-stop and restart trials. Price Class wins in the competition went to: the Fiat Panda 4×4 1.3 MultiJet; Peugeot 308 SW PureTech 1.2 e-THP stop-start; SEAT Leon ST FR 2.0 TDI; Volkswagen Golf SV GT 2.0TDI DSG; Volvo XC60 D5 AWD R-Design NAV; and the Land Rover Discovery HSE Luxury 3.0 litre SDV6. From these Class winners, the SEAT Leon ST forged ahead to take the overall victory, earning comments such as, “the SEAT’s engine kept its torquey feel and produced punch whenever and wherever it was required”, and “even at increased speeds, it remained unruffled and composed”. All-Wheel Drive vehicles competed in two additional categories – ‘All-Wheel Drive Under 1800kg’ and ‘All-Wheel Drive Over 1800kg’. First place in the lighter category went to the Volvo XC60 D5 AWD R-Design NAV, while the Land Rover Discovery HSE Luxury 3.0 litre SDV6 took the honours in the heavier group. 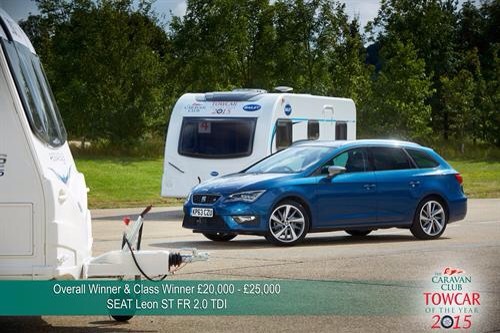 The results of the competition were announced at The Caravan Club Towcar of the Year Awards ceremony, held at the Royal Automobile Club in London on 24 September. For the 2015 competition, the Judges’ Special Award went to the Mitsubishi Outlander GX4hs 2.0 PHEV – the PHEV hybrid’s innovative electric/petrol technology was assessed shoulder to shoulder against more traditional vehicles.